January is the month I empower you with plans, routines and resources to help you get started on some good habits to take you throughout the year. I've already given you some goal setting tips, an organizational tool, and today its time to refresh your skincare regimen. So, to continue our series of "New Year, New You" overhaul, I introduce you to Vera Moore Skincare. Vera Moore Cosmetics and Skincare (for which I'm proud to be a brand ambassador) founded by Former actress Vera Moore (Linda on Another world), is a multi-cultural family owned line for the ethnic market. Like me, you might want to make this year the year for your best skin ever. 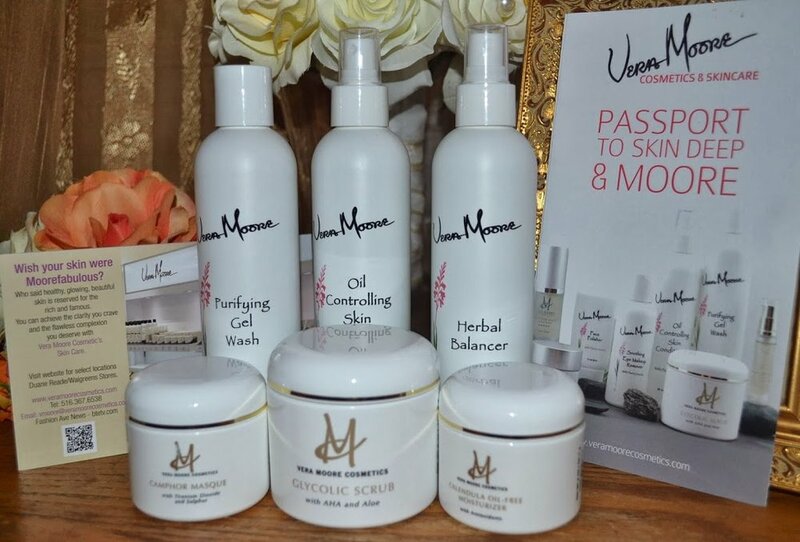 To help me achieve this goal, I've unlocked my "Passport to Skin Deep & Moore" - that is I've started a new regimen using the Vera Moore Skincare line for oily and acne prone skin. And though I do not always eat the right foods, drink enough water, and get enough sleep, I've already seen much improvement. My skin has definitely gotten smoother and my complexion brighter. My experience was with the products formulated for Oily/Excessively Oily/Acne skin type, however, they do have a product line for Dry/Mature and Normal/Combination skin types. The products may initially seem pricey but when you calculate the number of uses, then you realize its a steal. I have been using since October of 2013 and I still have several uses left in each. So if you need to get into a beauty habit for 2014, Vera Moore Skincare will give you the confidence to feel comfortable in your own skin.